Industrially speaking, ammonia is the underappreciated little brother of bleach. Still, it has a cleaning power beaten only again by bleach. Ammonia is also the torture weapon found in every disgusting chemistry labs we set our foot upon in our school and college days and many people hate ammonia just because of that. But, did you know there are many ways you can actually employ to empty that bottle of ammonia sitting in your chemistry labs. Forget labs, you actually have an unlimited supply of ammonia available at your disposal. Yes! How? Well, pee in a bottle and voila! You have a fresh and ready ammonia liquid with you ready for use. Let’s look at some of the reasons for you to collect your pee (sorry-ammonia) and save yourself from going to a stinking toilet every time you need to eject something from your body. You are in the middle of a war and your enemy keeps hurling curses and abuses along with his bullets towards you. You ignore it for a while, but your patience dies out after 10 long seconds. Your blood starts to boil! Adrenaline starts a marathon inside your body. You start thinking of something to put him to shame while delivering him his last supper (the one he takes from your gun). However, your ethics-loving seniors whose favorite task was to humiliate you every $#@king day won’t allow you to do that. What do you do then? Just put down your zip, pee on your loaded cannon and set it on fire. The enemy will get a taste of your body fluid in his dying wounds as ammonia is a highly inflammable compound too. It’s true! Ammonia has magical cleaning properties which can be put to better uses then they are at now. 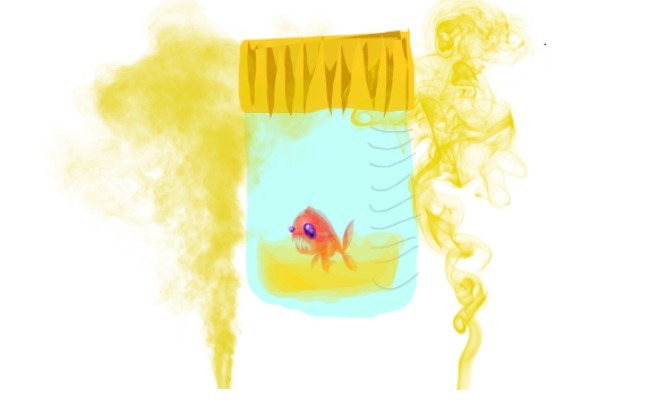 If you hate yellow teeth and get furious every time your friend laughs at his own disgusting PJ, just offer him your pee (again sorry, ammonia) in a bottle and ask him/her to use it regularly. And you will get favorable results from the first use only. Your friend will stop saying PJs, or every time he tries to say one, there will be an army at your side to ask him to shut his mouth. It will be a win for you in any case. Believe it or not, ammonia is highly explosive and you can use this property of it to get rid of all the uncool and unwanted gifts you received on your birthday from your father’s brother’s aunt’s sister’s cousin’s boss’s secretary’s boyfriend. You may not like them, but can’t show your feelings. Also, your family keeps telling you to pretend to be a kind and loving person. So, to save yourself an explanation to anyone, just pour your pee (ammonia, again) to the things you hate and just set it on fire. Science will do the rest. Just be creative enough to fake the cause of a fire to your parents when telling them about the incident. Animals mark their territory by peeing around it so no animals would dare enter in to it. As you WELL know, pee contains ammonia too. And you must have heard your science teacher babbling something about humans being a social animal too. So, if you don’t want to waste your hard earned for-weed-only pocket money on building a fence around your house but still want to keep strangers away from it while you are gone, just get a bottle of ammonia from the market or a steady stream of human-made ammonia and pour it all around your area. Believe me! No one, not a single person would dare to even come close to the house even if you let the doors open. Such is the pleasantness in the smell of ammonia.